Successfully Added 5W LED Grow Light - 5xLEDs, 2xRed LED, 2xBlue LED, 1xWhite LED, Gooseneck Design to your Shopping Cart. 5Watt LED Grow light for plant, flowers herbs and other cultivation. Flexible gooseneck design and clamp makes it easy to position and setup. 2 Red LEDs at 620 to 630nm and 2 Blue LEDs with 450 to 460nm light for promoting plant growth. Efficient low energy grow lamp keeps the electric bill down. With its desk clip and flexible gooseneck design, this 5 Watt LED grow light is great for giving plants a boost. 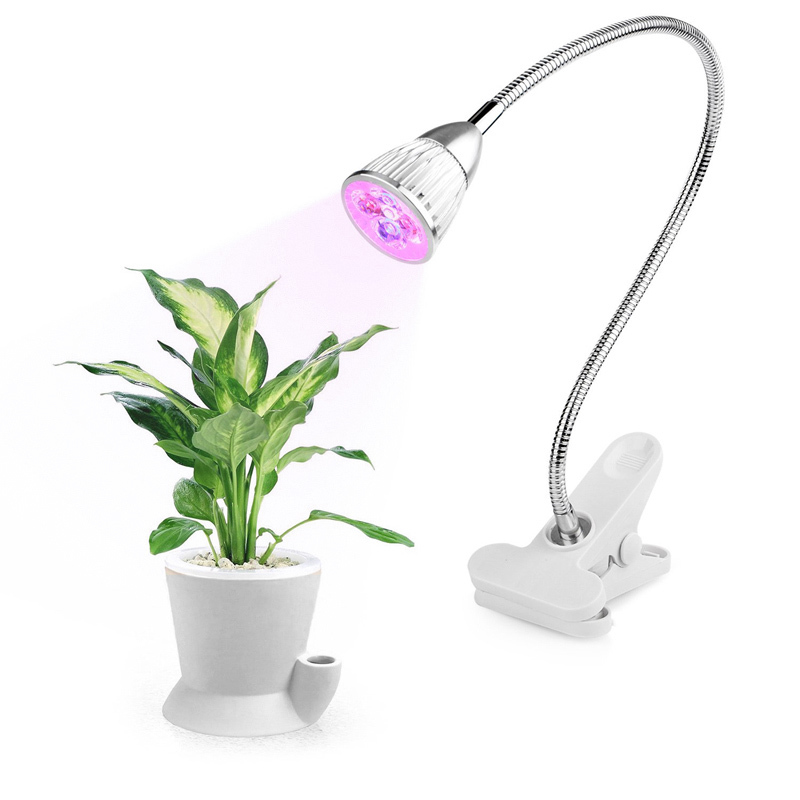 The grow light is made up of five 1 Watt LEDs. This includes 2 red LEDs that emit 620 to 630nm light, 2 blue LEDs that emit 450 to 460 light and a white LED. Between them, these LEDs provide the wavelengths of light that help promote growth and development for plant and flowers. With a long lifespan and low power requirements, it's an ideal way to help your plants through the winter. This LED grow light comes with 12 months warranty, brought to you by the leader in electronic devices as well as wholesale LED lamps and lights..